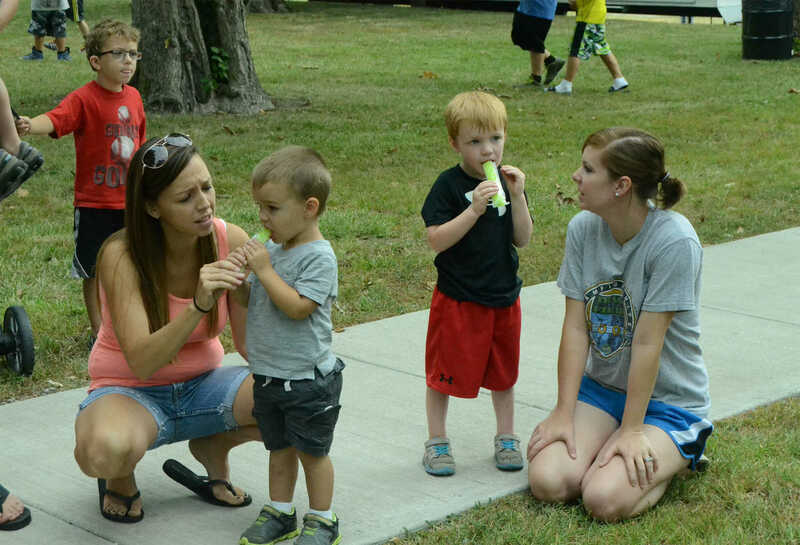 Easton Wooldridge, left, with Ryan Austin and Ryland Austin with Hannah Jacobs participate in the popsicle eating contest at the Hume Fair. 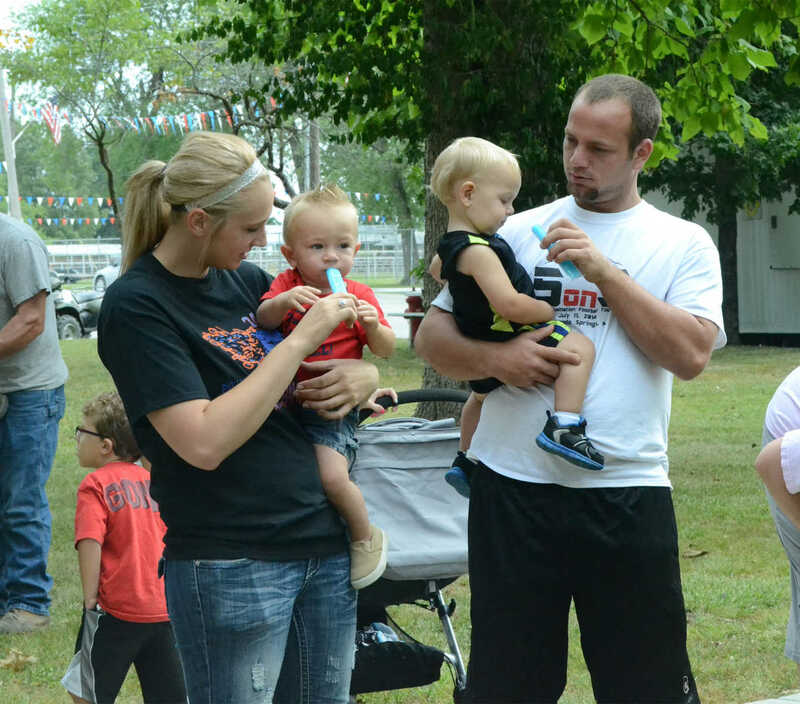 Gunner McSperitt, left, with Stephanie McSperitt and Rhyder Rushind with Holly Rushind participate in the popsicle eating contest at the Hume Fair. 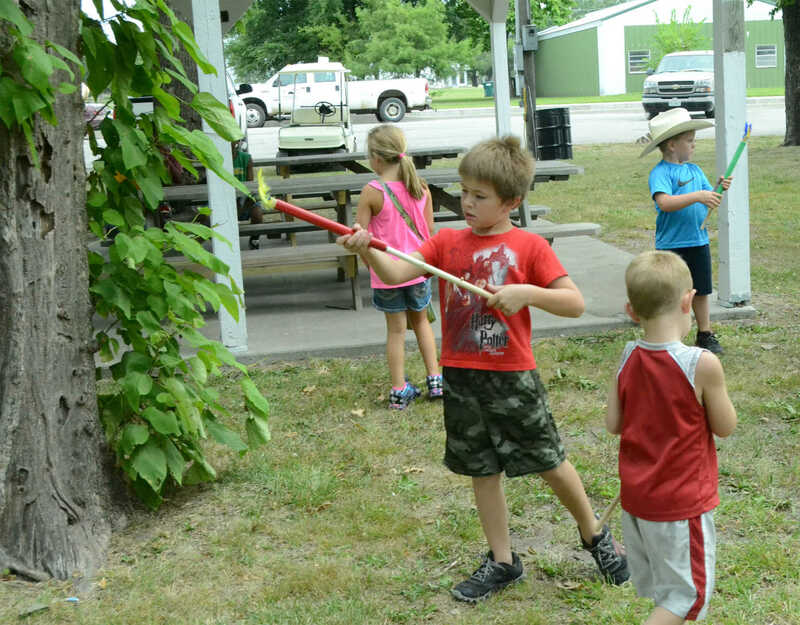 Lane Irwin, center, plays with a cork shooter at the Hume Fair. 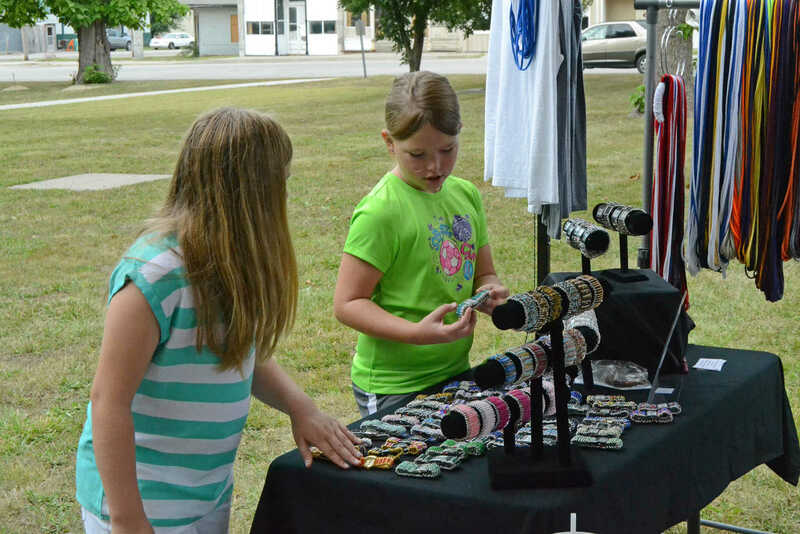 Brena Umphenour, left, and Brileigh Rogers look at jewlry for sale at the Hume Fair. 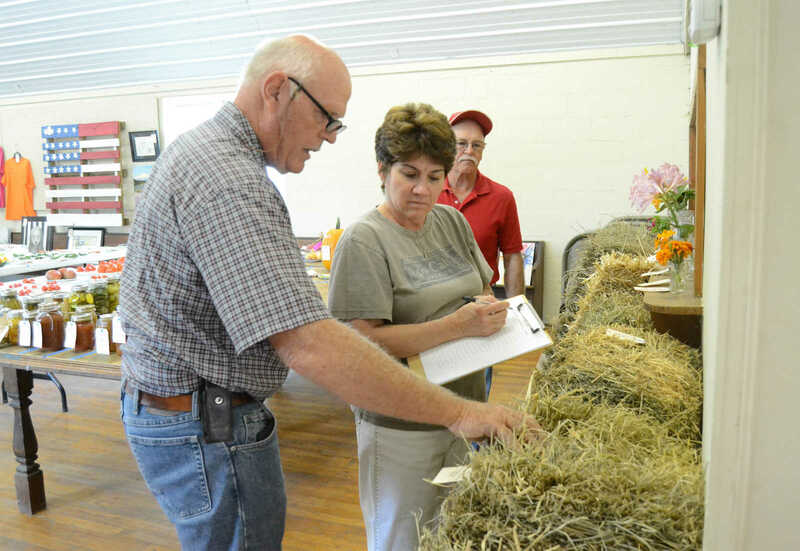 Greg Brocka, right, Kay Wetter and Randy Bell judge hay at the Hume Fair.